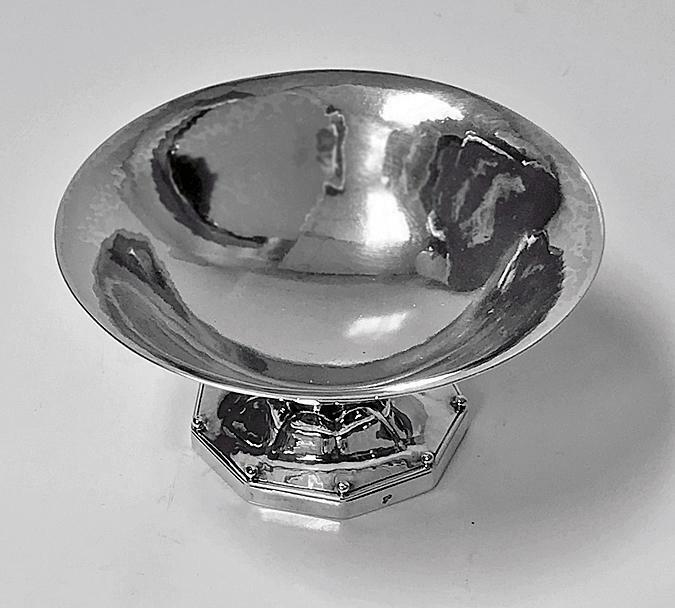 Georg Jensen Sterling Silver Dish 1926-32, design No 181A . 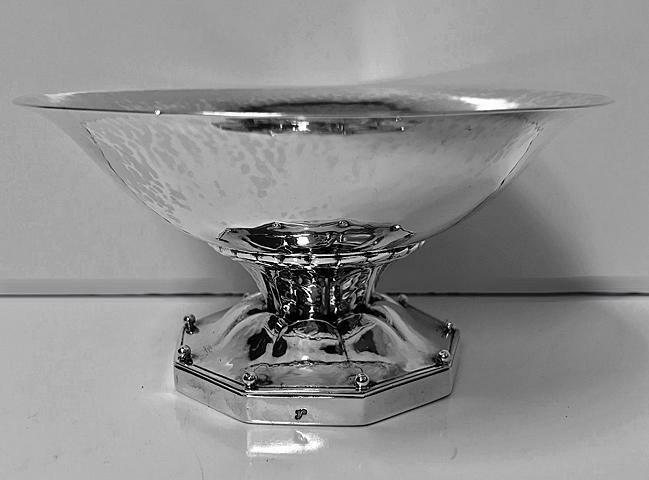 Octagonal shape, hand wrought, hammered. 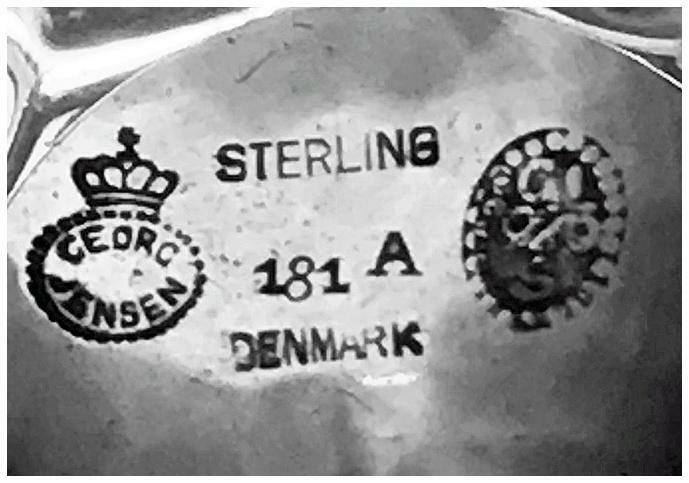 Full Georg Jensen marks, 1926-32 mark with crown to underside and George Jensen Sterling 181A and Dutch tax mark early 20th century. Illustrated P212 Georg Jensen A Tradition of Splendid Silver Janet Drucker. Height: 2.30 inches. Diameter: 4.50 inches. Weight: 134.12 grams. 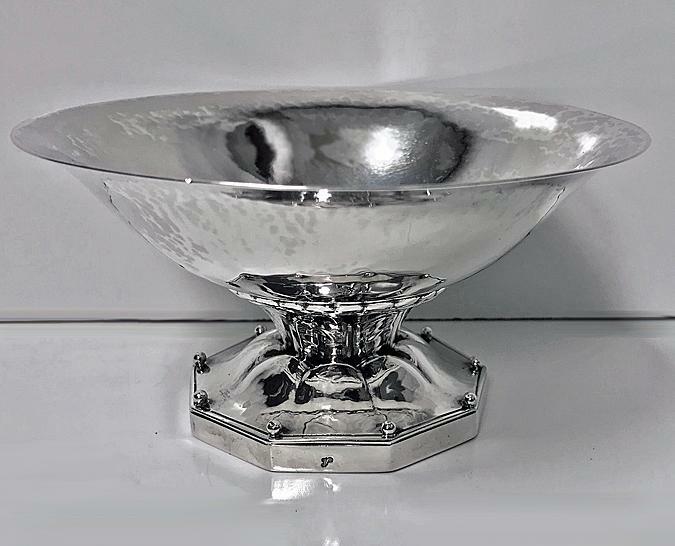 Items Similar To "Georg Jensen Sterling Silver Dish 1926-32, design No 181A"